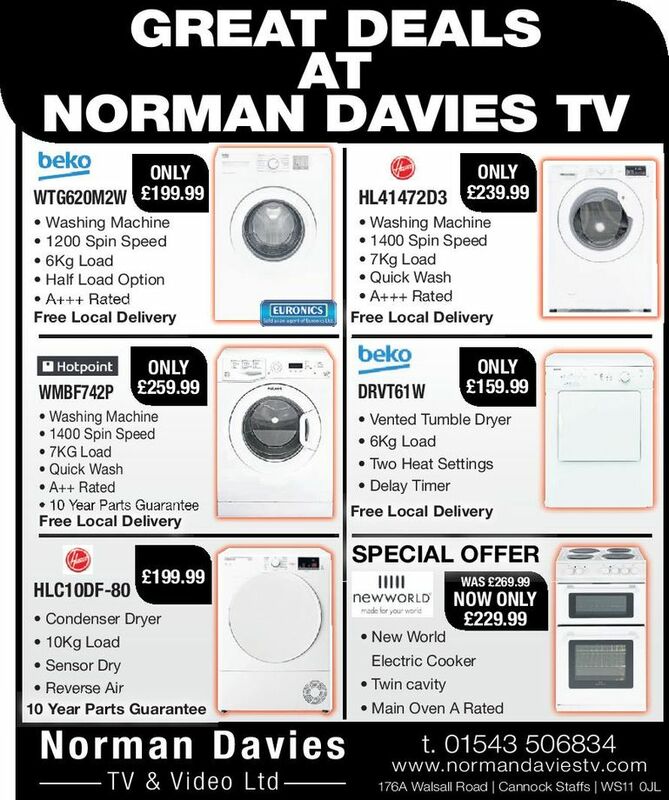 Here at Norman Davies TV & Video Ltd, we have provided quality electrical products and a first class professional service to the community of Cannock, Hednesford and surrounding area since 1982. Are you experiencing tv reception problems ? We can arrange your new aerial installation for you. Need a new aerial point in a bedroom or conservatory ? We can sort that too! We are also approved installers for both Sky and Freesat satellite television services.